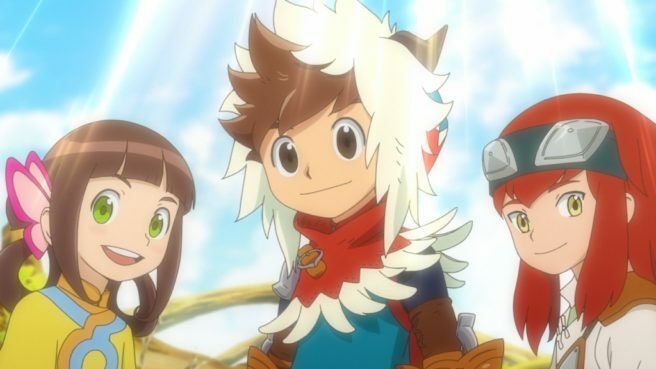 Monster Hunter Stories received a big blowout today. 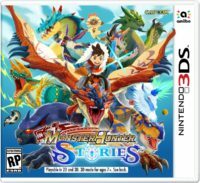 On top of Capcom announcing things like a release date and amiibo, we have a trailer and plenty of details about the anime, Monster Hunter Stories: Ride On. Monster Hunter Stories: Ride On will start airing on October 8, every Sunday at 8:30 AM on Fuji TV. It’s also been 10 years since Fuji TV last has a new anime slot. As one would expect, it’s based on the new video game. The main character is named Ryuto, who rides a Rathalos. He has childhood friends Cheval and Lilia, both of them riding on a Rathian. Ryuto is a boy who lives in a Riders village located at a corner of the world of Hunters. In contrast to Hunters who hunt monsters for their living, Riders form bonds with monsters and live together with them. Riders also own Bond Stone which awakens hidden abilities in monsters they’ve formed a bond with. The 12-year old Ryuto, who is cheerful, vigorous and full of curiosity, has a dream of becoming the best Rider in the world. He goes on an adventure to the outside world. Accompanying him in his adventure are his childhood friends Cheval who is kind, Lilia who is full of intellectual curiosity, and Nabiru who is a frivolous felyne. Ryuto and the rest of the group will meet new monsters and friends, create bonds with them, fight together against obstructing monsters, and face threats and mysteries that engulf the world. This will be a story of grand adventure that can be enjoyed by parents and children alike and make them moved.